Oral argument will be held on Friday, December 19 at 1:30 pm in Benton/Franklin County Superior Court in Kennewick on a lawsuit filed by a gay couple who were denied service by a florist because of their sexual orientation. The suit (Ingersoll v. Arlene’s Flowers) says that the refusal of Arlene’s Flowers to sell flowers to the couple violates the longstanding Washington Law Against Discrimination and the Consumer Protection Act. The ACLU is representing the couple in the suit. Curt Freed, and Robert Ingersoll have been a couple since 2004. 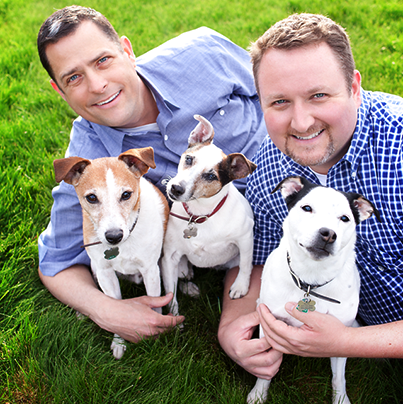 In December 2012, soon after the State of Washington began recognizing the freedom to marry for gay couples, Curt proposed marriage to Robert, and the two became engaged. They were planning for a wedding to be held on their anniversary in September 2013. Having purchased goods from Arlene’s Flowers on many occasions, Robert on behalf of the couple approached the florist on March 1, 2013 to arrange for flowers for the event. However, he was told that the business would not sell the couple flowers because of the owner’s religious beliefs. Friday’s hearing will consider motions for summary judgment. A trial in the case currently is scheduled for March 23, 2015.